Home Editor's Picks Will Manchester United Sell Eric Bailly To A Rival? Will Manchester United Sell Eric Bailly To A Rival? Eric Bailly is ready to consider his future next summer if his prospects at Manchester United do not improve, sources said. The defender started 15 games in all competitions last season — one fewer than Henrikh Mkhitaryan who left in January — and has been restricted to three Premier League starts so far this term. He has been linked with moves to Arsenal and Tottenham but sources have told ESPN FC the 24-year-old is determined to give himself at least until the end of the season to win a regular place in Jose Mourinho’s team. United, according to sources, would be unwilling to sell unless Bailly — who cost them £30 million in 2016 — made it clear he wants to leave. They would also be reluctant to sell to a Premier League rival. Mourinho made it clear in the summer he wanted to sign a new centre-back but missed out on Harry Maguire, Toby Alderweireld and Jerome Boateng. He has turned his attention to Inter Milan’s Milan Skriniar and Alessio Romagnoli at AC Milan ahead of the January transfer window. Actually, some of these happenings have been predicted on few top soccer betting sites. Any defensive addition would push Bailly further down the pecking order at Old Trafford. Chris Smalling and Victor Lindelof have been Mourinho’s preferred pairing this season and there is further competition from Phil Jones and Marcos Rojo. Midfielders Ander Herrera and Scott McTominay have also played at centre-half this season. 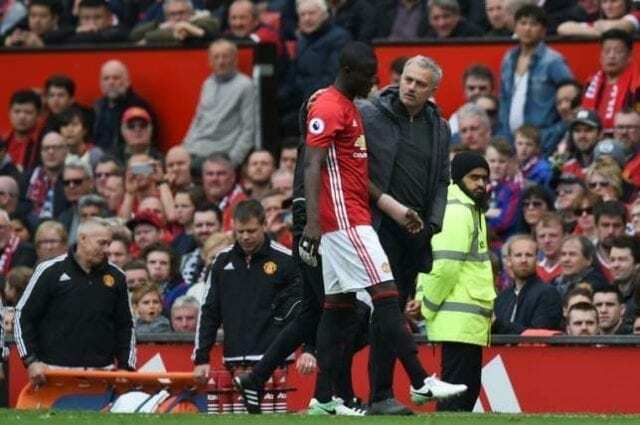 Mourinho is a keen admirer of Bailly but has reservations about his injury record. Bailly started the 3-2 win over Newcastle before the international break but was substituted after 18 minutes with United 2-0 down.